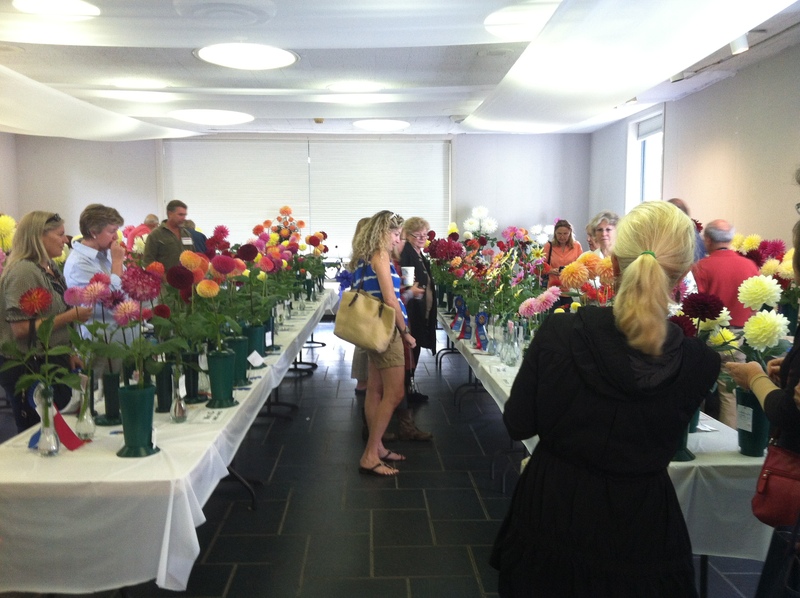 The 6th Annual Dazzling Dahlia Show sponsored by the Greenwich Dahlia Society at the Garden Education Center of Greenwich was a roaring success! 850 stems were entered! Every color and form! Let me show you some highlights! Row upon row of the most perfect specimens! Dahlia growers come from far and wide and it is quite a scene to get all of these precious stems entered for the competition. Beyond the fun, competitive nature, there is the camaraderie of the growers. 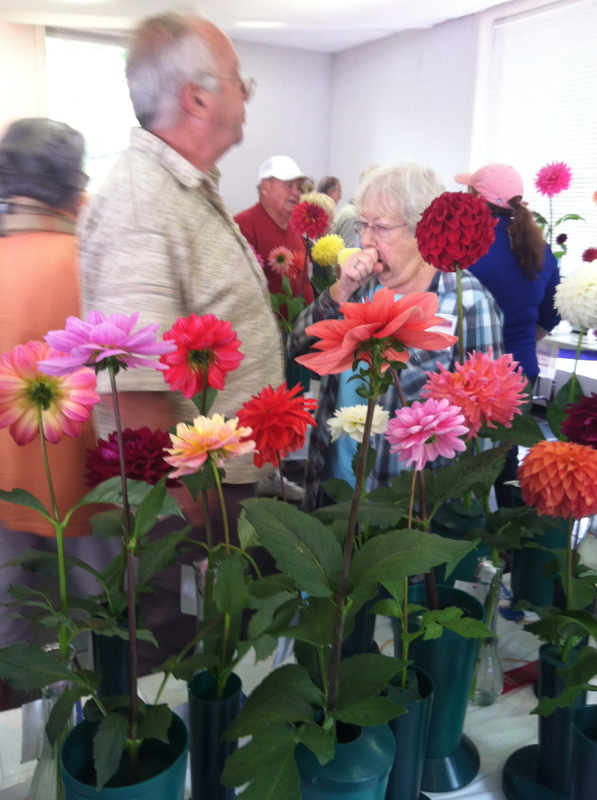 Each growing season has its trials and tribulations and it is great to share stories. 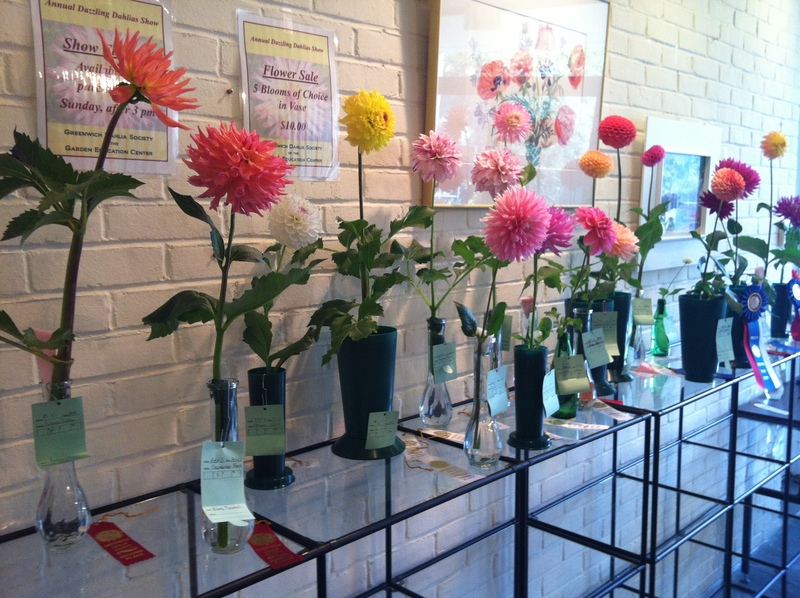 It was fabulous to see the wide variety of dahlias being grown, and if you’ve never grown a dahlia, you will want to add at least one after seeing the colors and forms available. The prizes were awarded by ADS Judges. 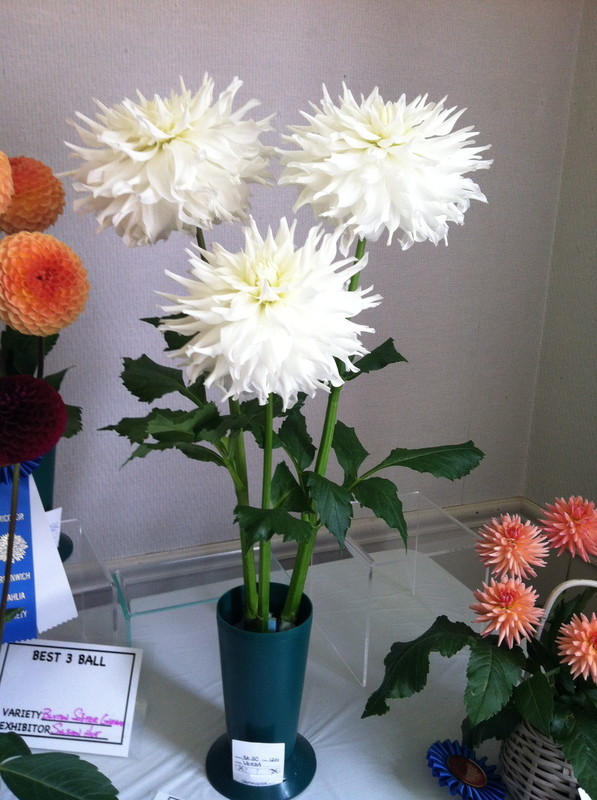 My ball ‘Snoho Doris’ won a blue ribbon! I am not exactly patting myself on the back, but if you read this blog, you know that the odds were against it, between the ground hogs and the scorching hot weather! Babylon Bronze was also awarded a first prize. The class for baskets was outstanding this year. 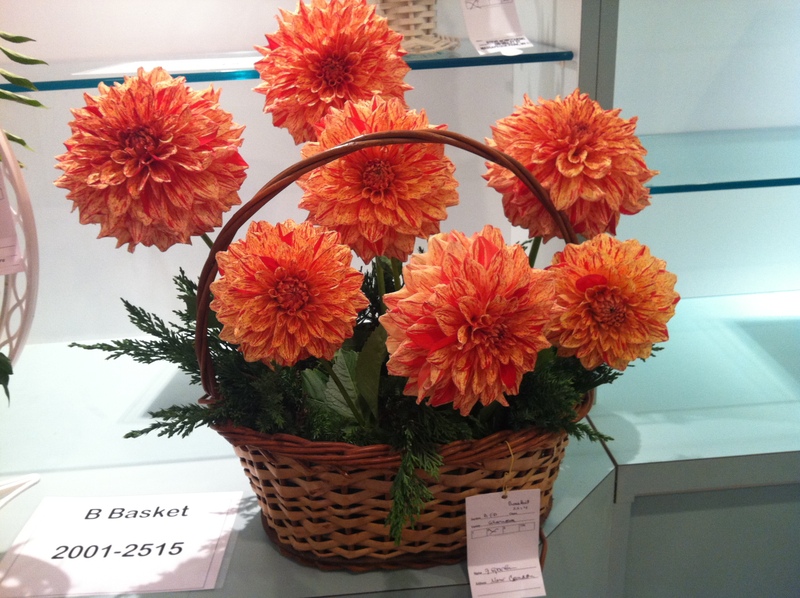 Imagine having that many perfect blooms to fill a basket! and each bloom must be perfect. This year, no surprise, Steve Nowotarski won. 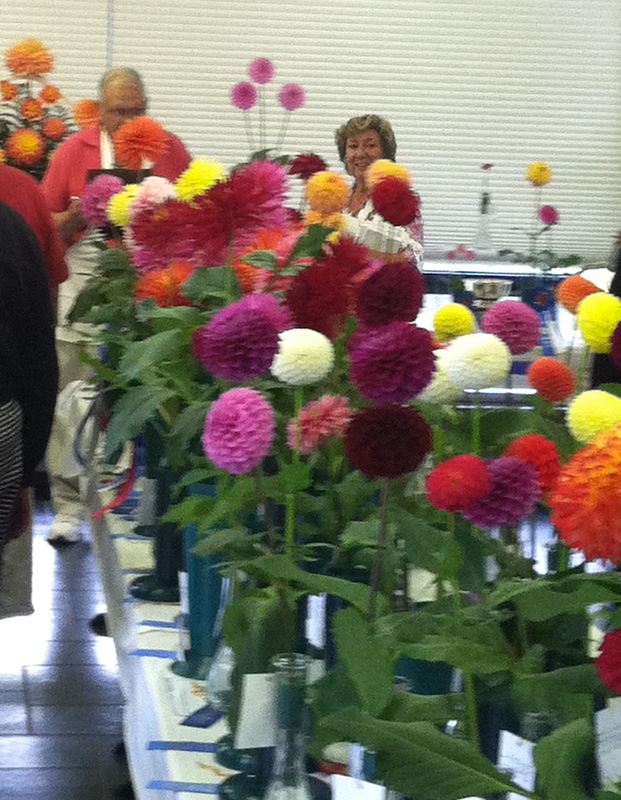 Most of what I know about dahlias comes from his workshops! 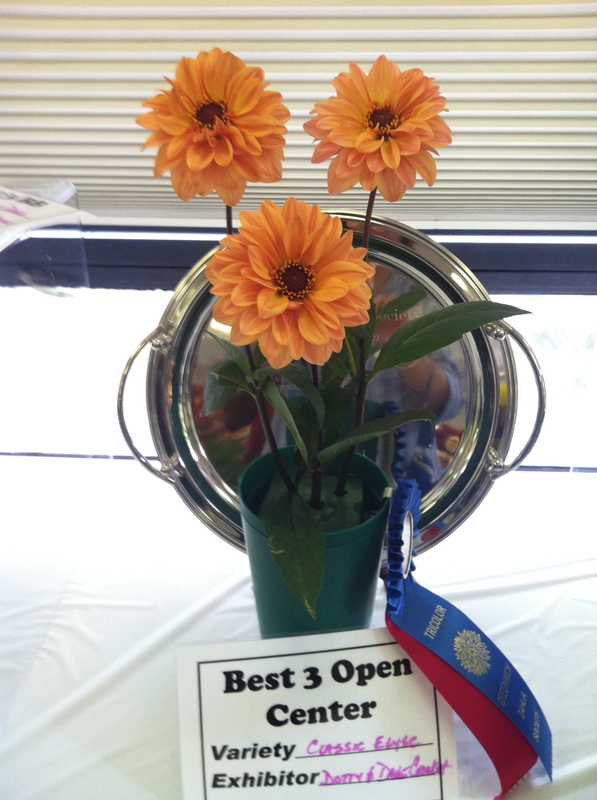 Once the blue ribbons are decided, the Judges pick the best of the best, and more awards are given. 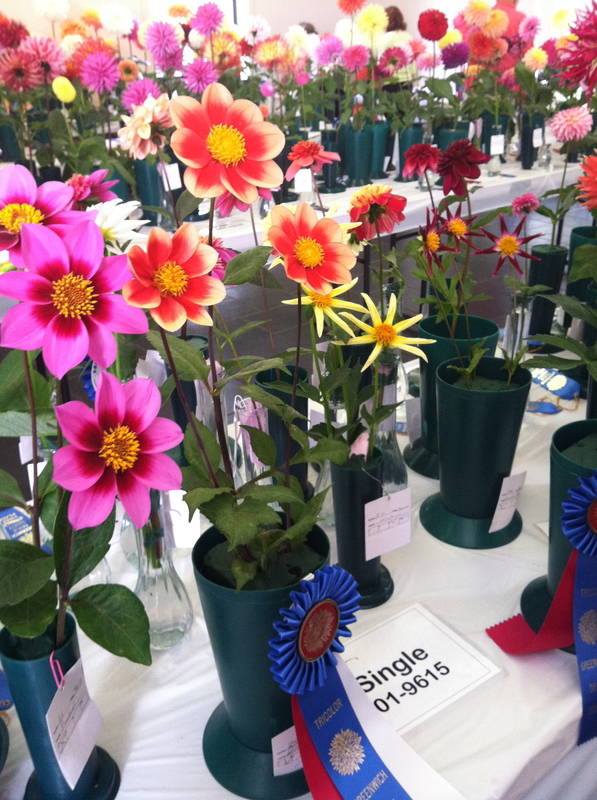 These are the growers I envy, because to get those awards demands a commitment to dahlia growing beyond what most gardeners allow to one plant! 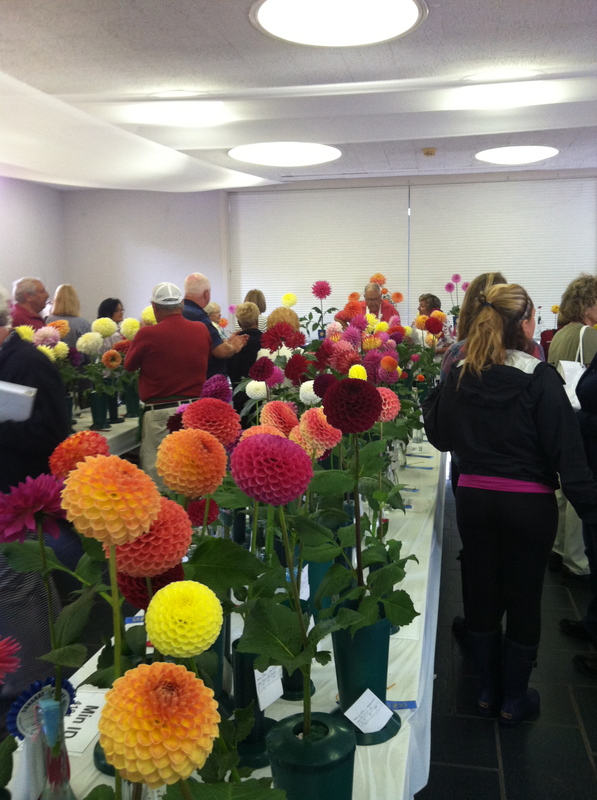 I spoke with growers who plant 400-500 tubers a season! I would not want the task of digging those tubers up!! This year the Novice class was quite lovely! Once you win a certain number of awards in the Novice section, you must enter with the other seasoned growers. 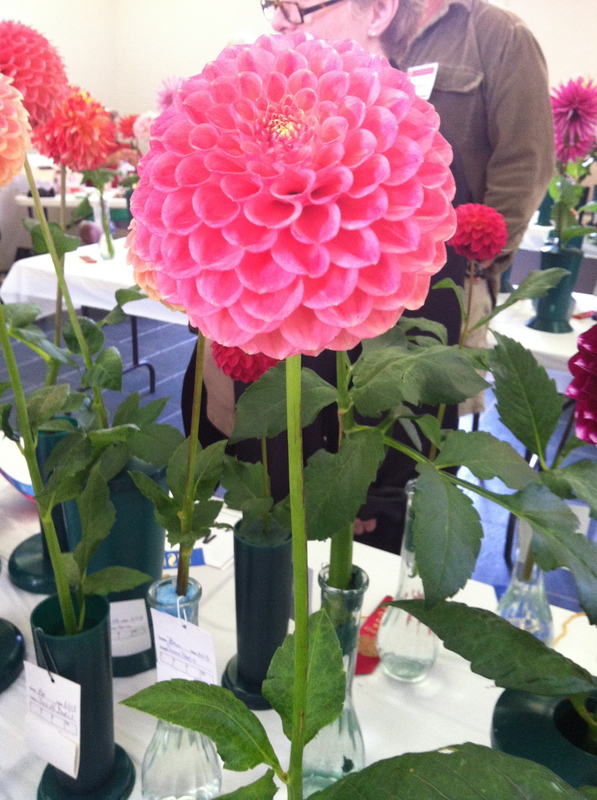 All in all, this was a terrific show and should not be missed if you love dahlias! Look for it again next year around the third week of September. 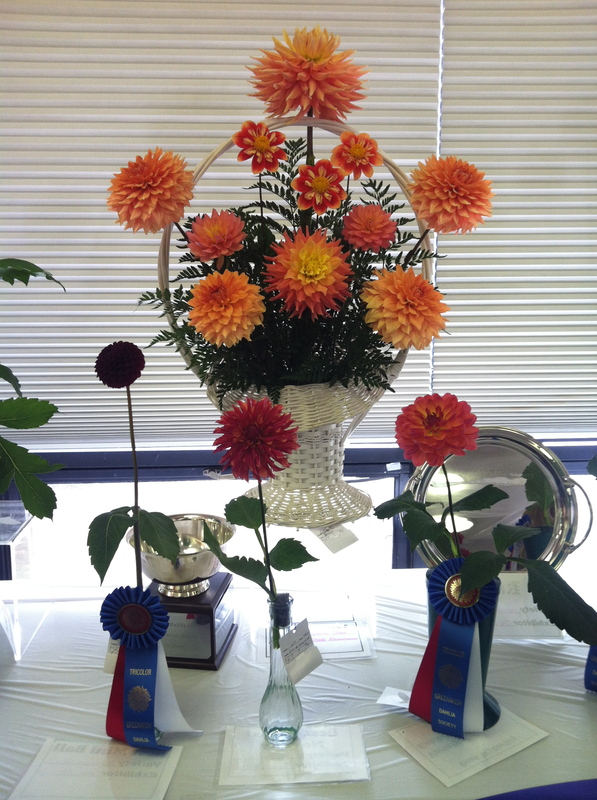 Visit the American Dahlia Society for show schedules and for a group/society near you that you can join. Warning! 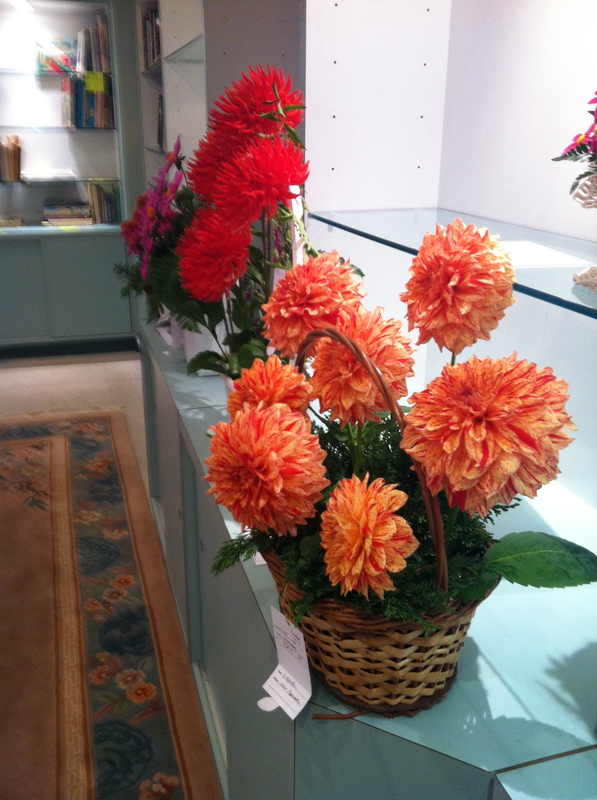 Dahlias can be addictive! 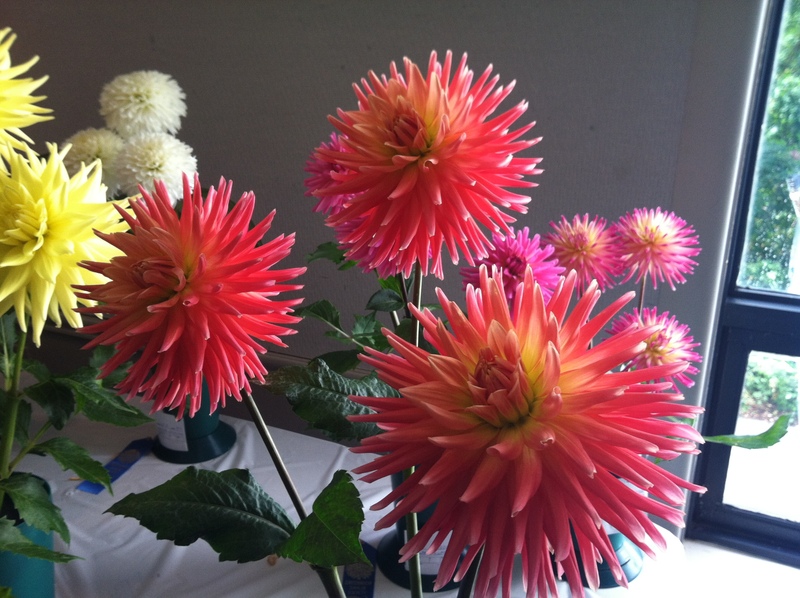 This entry was posted in Uncategorized and tagged American Dahlia Society, Dahlia 'Snoho Doris' Garden Education Center of Greenwich, Greenwich Dahlia Society, Steve Nowotarski. Bookmark the permalink. They are beautiful, and they make mine look pathetic! I must try harder next year.